LOL is both a professional networking community and a learning community. It is a place where you can gain access to the wealth of the world by acquiring social currency. That is, by becoming fluent in the Language of Luxury. Our purpose is to help you attract and better serve more high net worth clients. We now have a name for the language of luxury itself, LUXETERA, ETC. which is a featured category on the LOL Blog. Here we highlight luxury news from around the globe, courtesy of our LOL media partners, and also share insights from our own continuous research in the world of luxury. Please take a moment to watch the VIDEO introducing Luxetera, Etc. 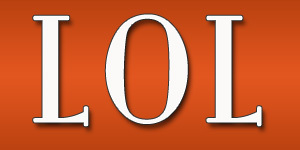 Be sure to join the LOL Community and subscribe to the LOL Blog. Thanks for Watching!